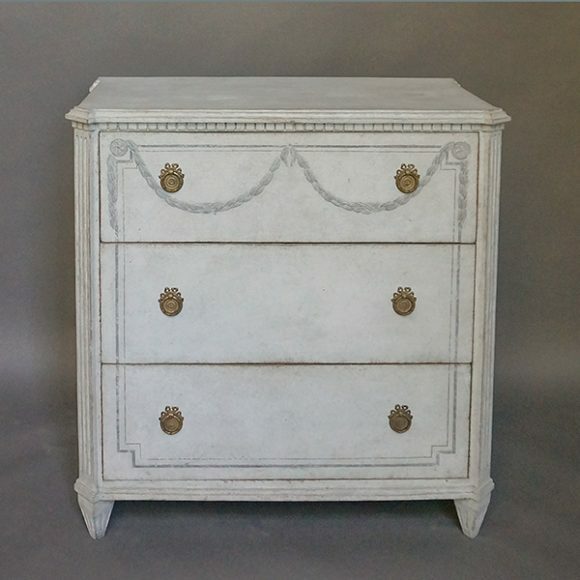 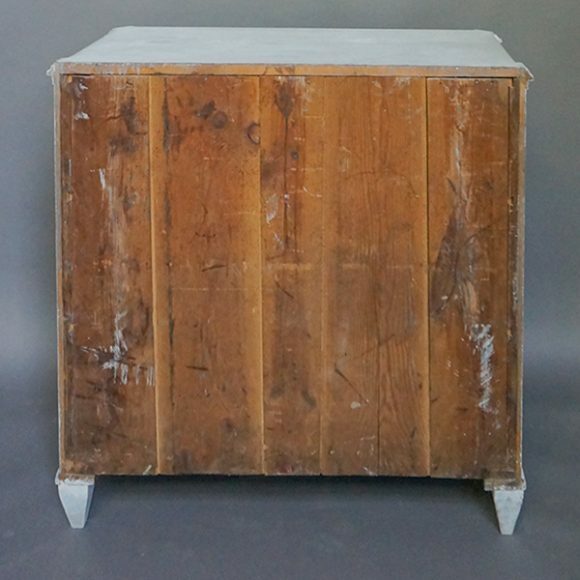 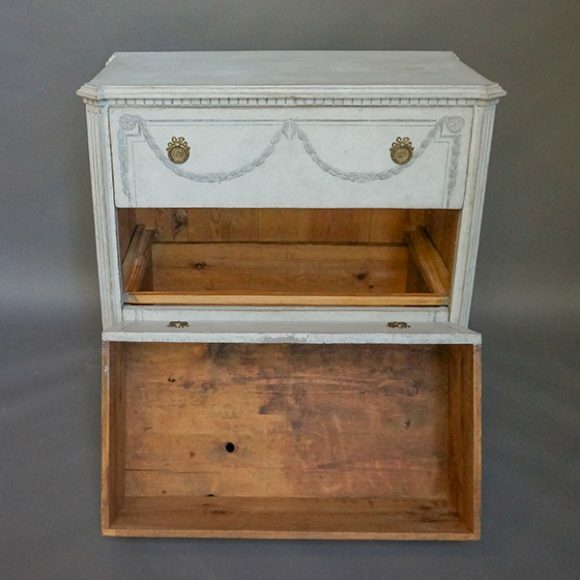 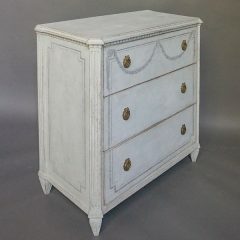 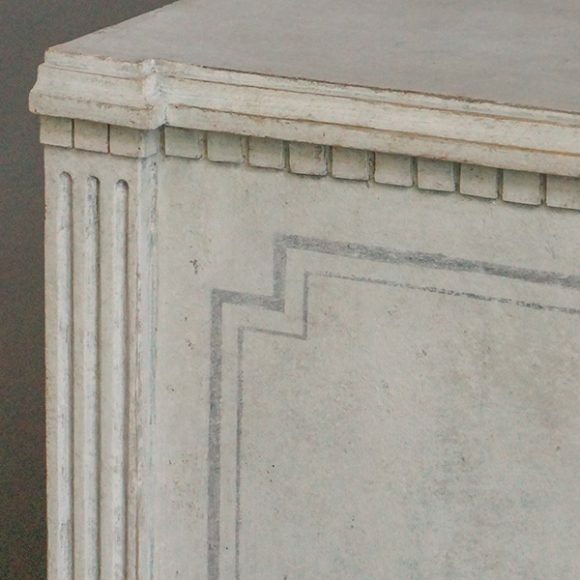 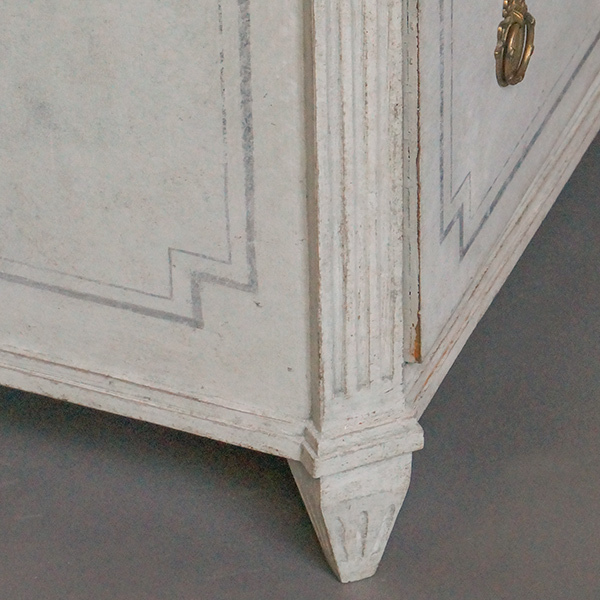 Beautifully painted three-drawer chest in the Gustavian style, Sweden circa 1860. Shaped top over dentil molding and canted corners with reeding. 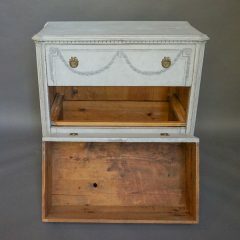 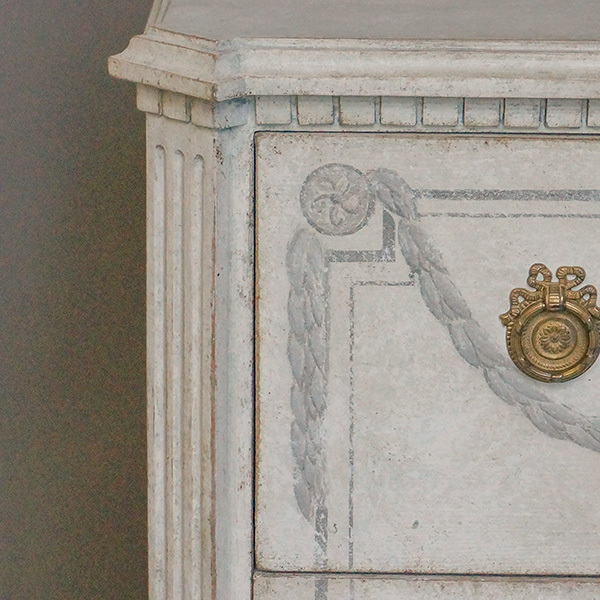 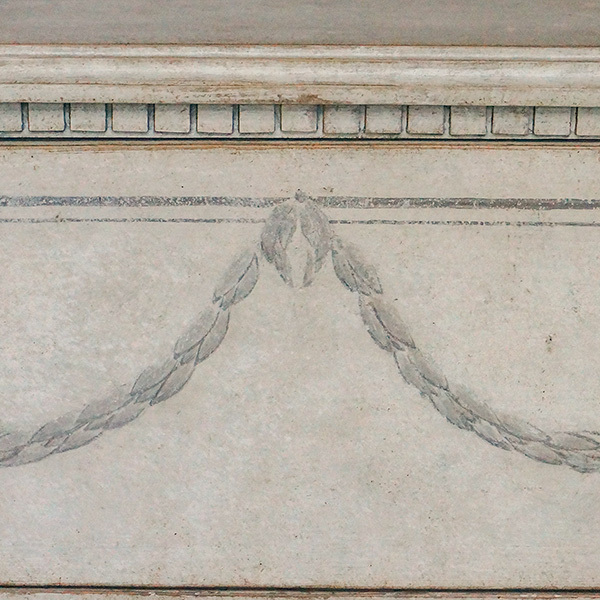 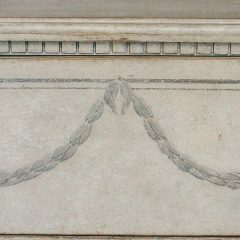 The three drawers and the sides are detailed with a painted border, and on the top drawer front, a graceful laurel swag is shown suspended from painted rosettes. 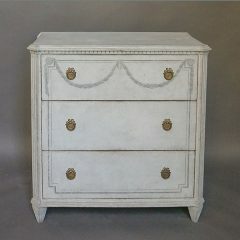 Exceptional Swedish feel to this piece.